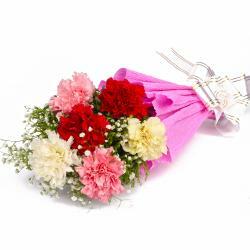 Product Consist : 10 Red Carnations with green fillers in Glass Vase. 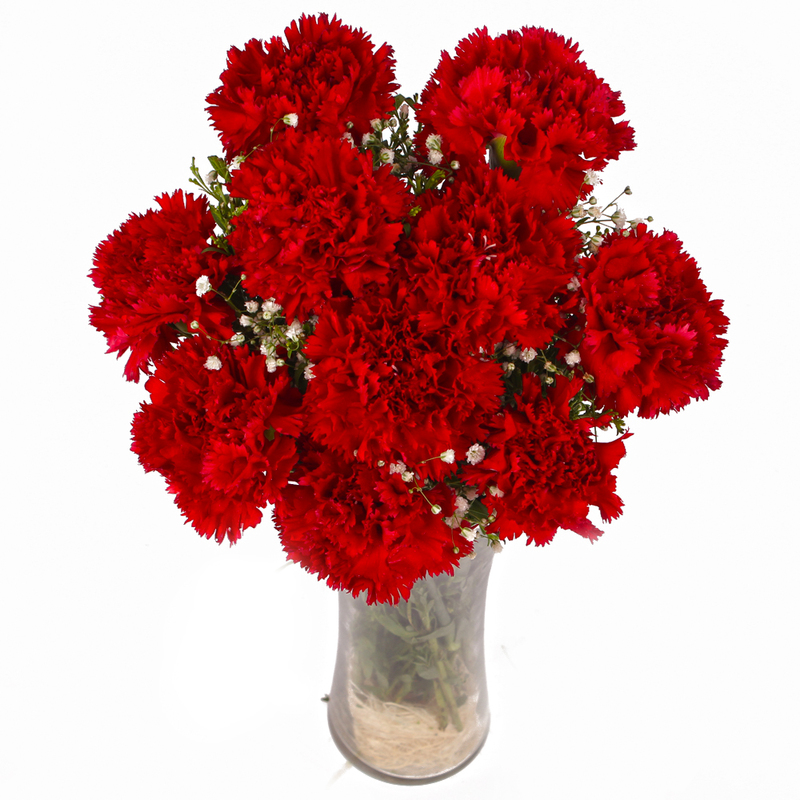 You will definitely adore these charming and cute red carnations that come neatly placed in a glass vase for company. 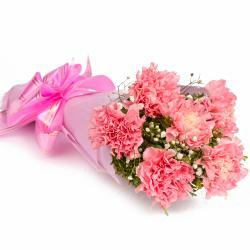 There are ten stem of red carnations in all and the lovely color will elate the receiver from his / her core. 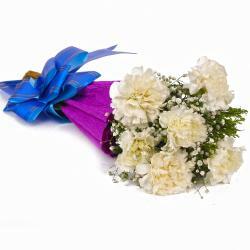 The elegant vase adds its own new dimension to this gift. 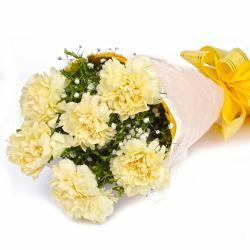 This can be used on Birthday, Anniversary, Engagement, Pongal, Teachers Day. So go ahead, place your order now. 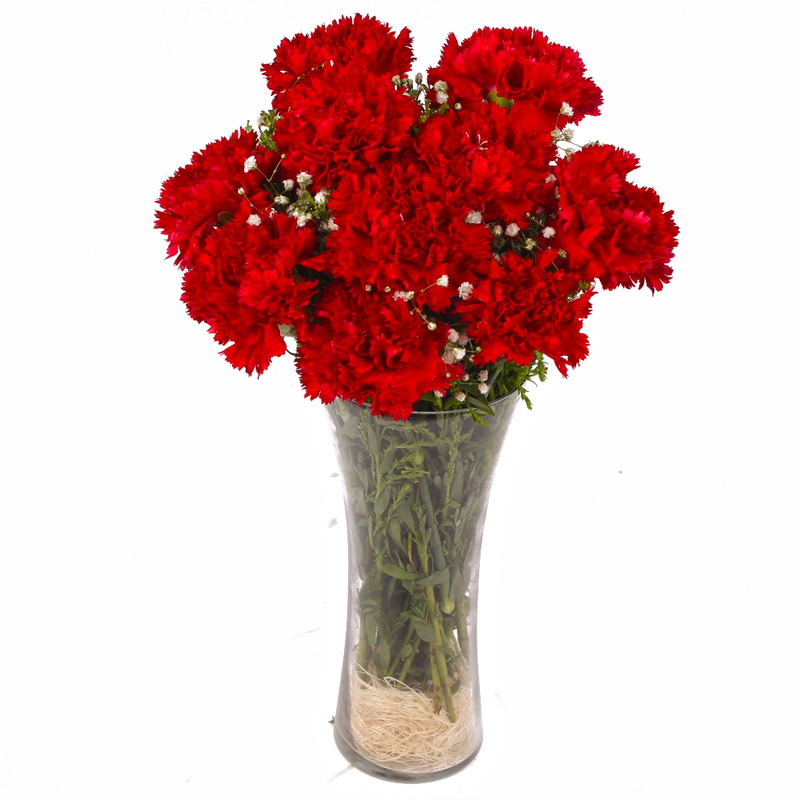 Product contains : 10 Red Carnations with green fillers in Glass Vase.